For this project I am using the black but you could make the same project using many different colors. I am including affiliate links in blue so you can locate the products for this project at no additional cost to you. I traced the design right off the computer screen onto plain white computer paper. I used the black ink effects to paint the traced image. I did the same with all 3 images. I waited 45 minutes for the paint to dry and was ready to iron. Using a dry iron with no steam, lay your image face down onto your fabric. You can use the image transfer spray to get the best results on 100% cotton fabric. After just a few minutes under the iron, lift the white paper and reveal your image. 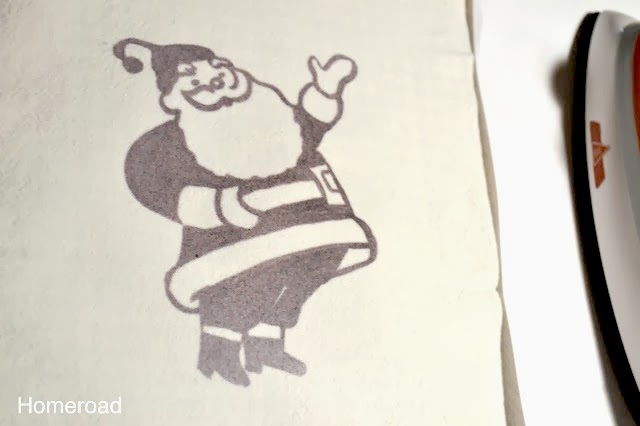 The black ink effects paint leaves a beautiful vintage transfer. each image will be a shade lighter than the original. my image into a pillow. I used old buttons to decorate the pillow. 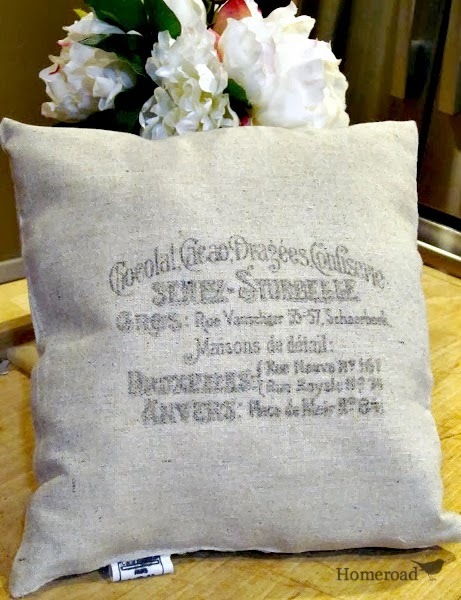 jute and a button for a bell. filling them with a great smelling flax seed, lavender mixture. 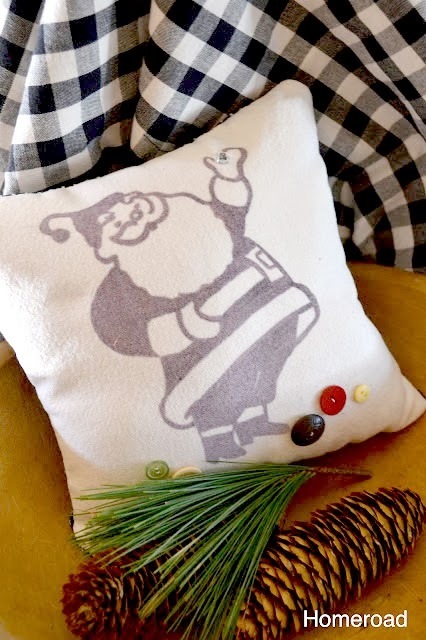 I found the ink effects easy to work with and had a great time creating fun Christmas pillows for one of a kind creative Holiday gifts. 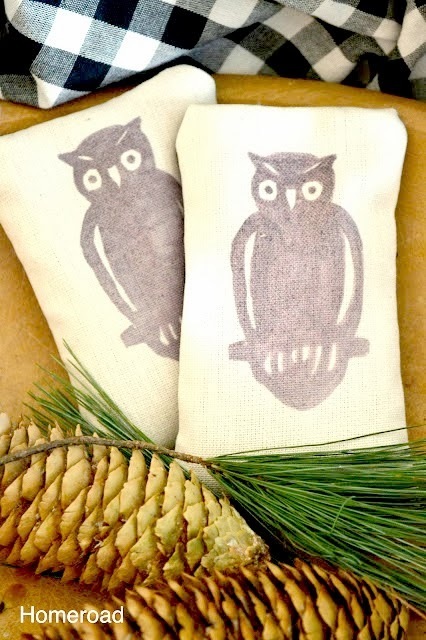 A great idea for a children's project for gift giving too! wow,, thats cool. I've never heard of those. I'd love to try that too. awesome! I never heard of ink effects. I must try! Thanks for sharing Susan! Love how these look, Susan! Great project. I love these. Do you think it's easier than other transfer methods? Love this idea! 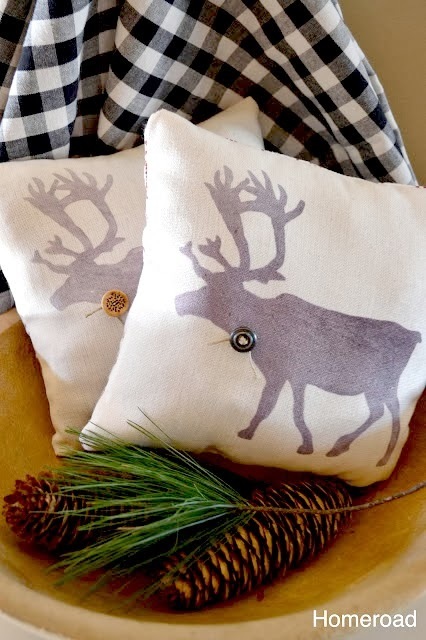 Might just have to make the reindeer pillows myself! 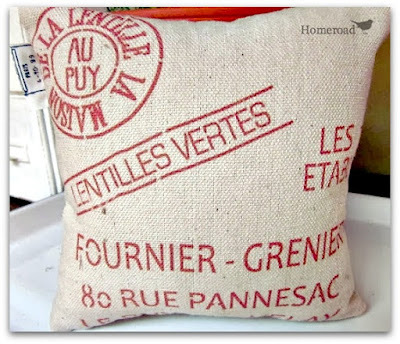 These are perfect for my current lake home project pillows. Thanks for jump starting my brain for the remaining pillows. I will do a blog post on my progress later with a little blurb for your help Susan. These are adorable, Susan! I've never tried Ink Effects, so I'll have to look for it in the stores. I haven't tried this yet...looks like fun...inspires all kinds of ideas! Love your projects!